The Parthenon, rising above the Agora, is arguably the iconic signature of ancient Athens. Its magnetic power and prestige out-draws the Agora as a tourist attraction. Within the sacred precincts of the Acropolis is the heartbeat of rising democracy. Although less visually eye-catching the Agora does feature the Temple of Hephaestus. The Temple of Hephaestus is the best preserved ancient temple in Greece. It was dedicated to Hephaestus, the ancient god of fire and Athena, goddess of pottery and crafts. The CAS Speaker for October, Dr. Laura Gawlinski, Associate Professor of Classical Studies and Department Chair at Loyola University Chicago. Her research and teaching covers Greek religion and sacred space, classical archaeology, and Greek inscriptions. 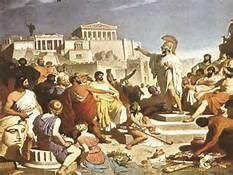 The evolution of the Athenian Ag-ora of Athens was a natural complement of the growth of the emerging Greek democracy. Across the globe urban areas like the Zocalo of Mexico City are the civic centers—large open squares where citizens can assemble for a wide variety of purposes depending on group or individual needs. On any given day the space might be used as a market, or for an election, a dramatic performance, a religious procession, military drill, or athletic competition. Here administrative, political, judicial, commercial, social, cultural, and religious activities all found a place together in the heart of Athens, and the square was surrounded by the public buildings necessary to run the Athenian government. These buildings, along with monuments and small objects, illustrate the important role it played in all aspects of public life. The council chamber, magistrates’ offices, mint, and archives have all been uncovered, while the law courts are represented by the recovery of bronze ballots and a water-clock used to time speeches. The use of the area as a marketplace is indicated by the numerous shops where artisans sold their wares and philosophers traded and debated ideas. Spaces space might be used as a market, or for an election, a dramatic performance, a religious procession, military drill, or athletic competition. Here administrative, political, judicial, commercial, social, cultural, and religious activities all found a place together in the center of the city much the way heart of and the square was surrounded by the public buildings necessary to run the Athenian government. All of the above is famously documented in the Field Museum Aztec market diorama. 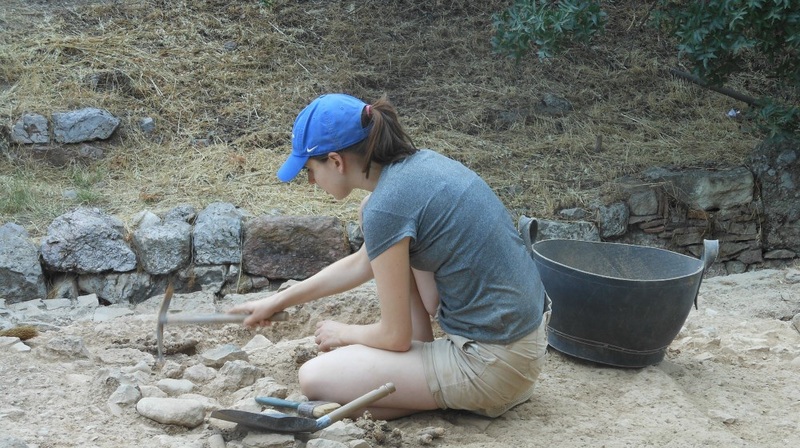 The field archaeology of Dr. Laura Gawlinski, and others is returning the Athenian Agora to our historical understanding. that all meetings of the CAS are free and open to the public. Public Library, 1703 Orrington Avenue.